5/4/19 - MASSIVE PRICE REDUCTION, CALL TO VIEW! 3/8/18 - PRICE LOWERED, AS OWNER VERY KEEN TO SELL!! CALL TO ARRANGE A VIEWING. Please also note that the sister ship has been launched, as is available for sea trials off Mallorca, at fairly short notice. Fantastic RIB from the Wave Blade range. 2017 build, but not launched as yet! Teak deck and trim, swim ladder, and transom shower. 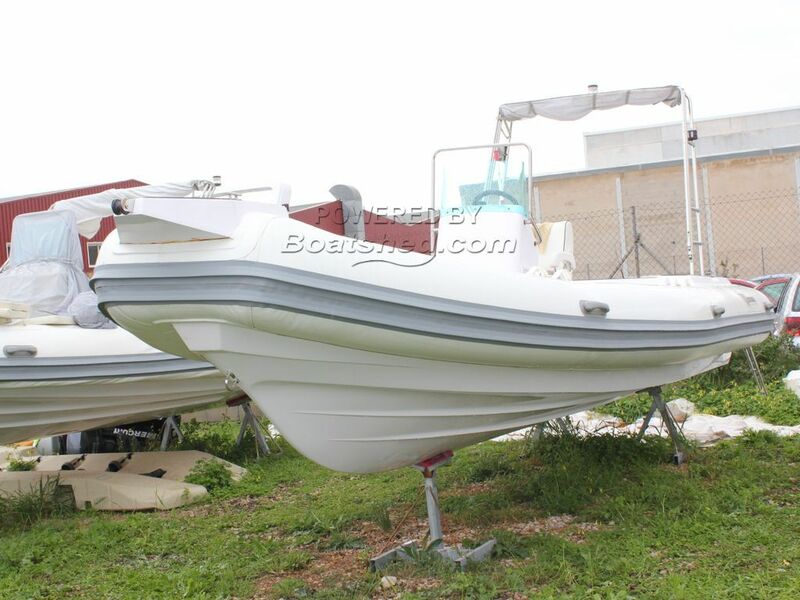 A range of engine options are suitable, hence the boats is sold without. Hull and sponsons are under manufacturers warranty. This Wave Blade 7.3 has been personally photographed and viewed by Rory Gillard of Boatshed Palma. Click here for contact details.